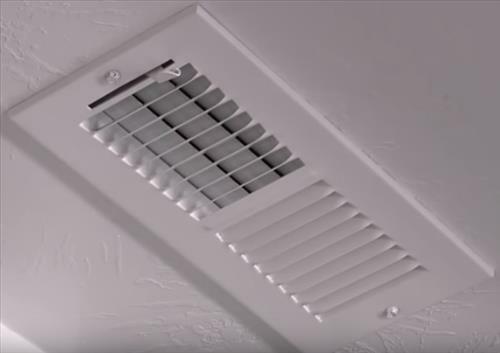 If you have an overhead vent at home or a office that the air flow needs adjusting than there is an easy way to fix this. Some vents put out more air than needed or blow the air directly over the wrong space causing discomfort. A way to fix this is too install an adjustable air diffuser that will control the amount of air that is blown into a room. There are different styles and types from manual to mechanical, but all do the same thing by controlling the air flow through a particular vent. All diffusers simply block or redirect air and need to match the vent type. Offices usually have a 24×24 inch vent type but it can vary. Most homes have square vents and will be 7.8 x 15.7 inches of course be sure to measure any vent to get the right size. Magnetic diffuser are a great option and easy to install. They simply to attach magnetically to a vent and can be adjusted for air flow. This makes them ideal in many scenarios with different sizes units. Most air vents are metal but be sure to check as some are made of plastic. This design type is popular and is simply a curricular diffuser that air can be controlled by turning the blocking plate. It is 24×24 inch’s which is common in many office buildings. A lever closes off the air flow which can be partially or fully blocked off. This style diffuser works with linear vents or straight square vents. It is clear and redirects the flow of air off to the side. Attachments are included to help mount it such as sell tapping screws. A cordless drill will likely be needed for an install. This type is not adjustable but does control the air by blocking half the down ward pressure sending it side ways. It is built to fit a 24 x 24 inch vent. It has an easy hook up by sliding behind a vent cover. Installing a diffuser is not difficult simply be sure to get one that work for your style of vent. The correct dimensions of the vent may also be needed. Most vents have standard sizes such as office spaces often use a 24×24 inch vent. Be sure to math the diffuser type to your vent along with the correct dimension. Controlling air flow in a home or office is important so that it does not become a distraction. There are many solutions to solving any vent that is not pushing air out correctly. Some vents have a way to adjust the air built-in while some do not. A diffuser is a great option to control the air flow through a vent when all other options fail. Do you know of a diverter for a Fujitsu mini split? I apologize if I sent this question yesterday. It wasn’t clear to me if it sent. Thanks.